Here’s the deal. 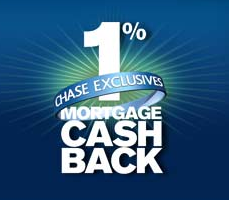 If you have a mortgage with Chase Investments, you’re eligible to a 1% cash back every time you pay your mortgage. Think about it, if you already have a mortgage, it’s a given fact that you’ll be paying for it every month. Why not get a mortgage that gives back every time you make a payment? It’s really simple. If you already have a mortgage with Chase, all you need to do is open a checking account with them. You can either choose to have your 1% paid directly to your checking account, or deducted from your principal balance. In their website, Chase offers a specific example to show you just how much you’ll be saving with the 1% Cash back Program. Say you have a $300,000 loan on a 30-year term and your monthly payment is $1,750. You’ll be rewarded annually with a $210 cash back on your payments. You can choose to have this directly paid to your checking account where you’ll be saving a total of $6,303 for the lifetime of the loan. And better yet, if you choose to pay the amount to your principal, you’ll be saving a whopping $15, 803 plus you’ll be paying off your loan 9 months early. Sounds good right? If you already have your mortgage in another institution but you have a checking account with Chase, you can simply transfer your mortgage to Chase to avail of the promotion. 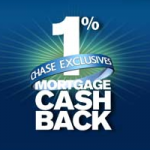 The savings on mortgage you get with Chase 1% Cash back will vary with the loan amount and term. To get an idea of just how much you can save, you can head on to their website where they offer a cash back calculator. Just input your loan term, interest rate and loan amount, and you’re all set. And as their tagline goes, you pay your mortgage, your mortgage pays you.